If you’re of a similar generation to the Love Cottages marketing team, then you most likely grew up either fascinated or bemused by the professor-like pitch of Sir Patrick Moore on The Sky at Night. If you’ve more recently succumbed to the fascinations of the starlit sky thanks to physicist and former D:Ream guitarist, Brian Cox, then you probably have a more layman’s understanding of the twinkly things that have us wondering what they are. Either way, staring into the dark night’s sky has become a bit of a ‘thing’. Brian Cox has certainly brought the topic into mainstream culture and made it comprehensible too (for us, at least). His nonchalant delivery of all things physics somehow makes it of reasonable fascination too. And in the name of protecting the environment and aiding tourism, various organisations have identified dark sky locations around the country. A location can now be awarded Dark Sky Discovery status and there’s also the Dark Sky Discovery network. So these areas of our wonderful countryside, so few and far between, that are free from light pollution – that’s pitch blackness, to you and me – are being heralded for their star gazing opportunities. In fact, there are more than 100 designated stargazing sites around the UK now. Which means, pack your torches if you’re to have any chance of making your way back to the cottage from the local pub, if you’re staying in one of these luxuriously dark locations. So for those of you with a geeky inclination towards astronomy, we ought to provide a little bit of detail. There are two darkness ratings for Dark Sky Discovery locations. And thankfully they’re rather logically named. At Orion sites you’re able to see the seven main stars in Orion (also known as the winter constellation) without the assistance of a telescope. A Milky Way site is much darker, more rural and will serve up the Milky Way to the naked eye, no magnification assistance required. That said, if you don’t know quite what you’re looking for, a telescope is always going to come in handy (providing you know how to use it, of course). And it turns out that this is quite a bandwagon. A little bit of delving around our site and we’ve found 39 homes with telescopes available for guests to use. And some of those telescopes are serious pieces of kit. If you know your planet from your star, or even your star from your aeroplane landing gear, then this list of stargazing spots around the UK might be right up your alley. What’s more, the list is naturally weighted with some of the most beautiful and remote rural destinations around the country. City slickers be warned: you might get bitten by the bug of rural life while you’re at it. We felt we had to start here in part because we have so many homes with telescopes located in the reaches of the Brecon Beacons National Park and because part of Wales’ raw beauty is its remote and rural communities. The park was the fifth destination in the world to be granted international dark sky status and three of its reservoirs are said to be prime spots for stargazing. For first timers, why not start off your adventure at the National Park Visitor Centre. It’s well signed, easily accessible from across the valleys of South Wales and has ample parking. Kielder Forest proudly bears the accolade of England’s darkest place and it is here in Northumberland National Park that you see the Andromeda Galaxy – apparently that’s 2.5 million light years away – no telescope required. There’s even a snazzy new-ish observatory here to make the most of the darkness that proffers the clearest of views into another world – think meteor showers and the Northern Lights. As if Northumberland wasn’t beautiful enough you now have another reason to explore its largely unappreciated expanse of countryside and coastline. People wouldn’t buy holiday homes in Northumberland if wasn’t beautiful – so hop to it, you’re clearly missing out. Although a seeming expanse of countryside, the light pollution is actually managed to improve stargazing opportunities in this part of the world. Yet it was the first European location to be awarded dark sky status. If you’ve been to north Devon, then you’ve almost certainly skirted if not weaved your way across parts of Exmoor National Park. Coastally it stretches from Minehead to Combe Martin to give you an idea. Stick inland next time you exit the M5 at Taunton. Dare you. This is the perfect stargazing spot if you’re heading to Scotland via the M6. 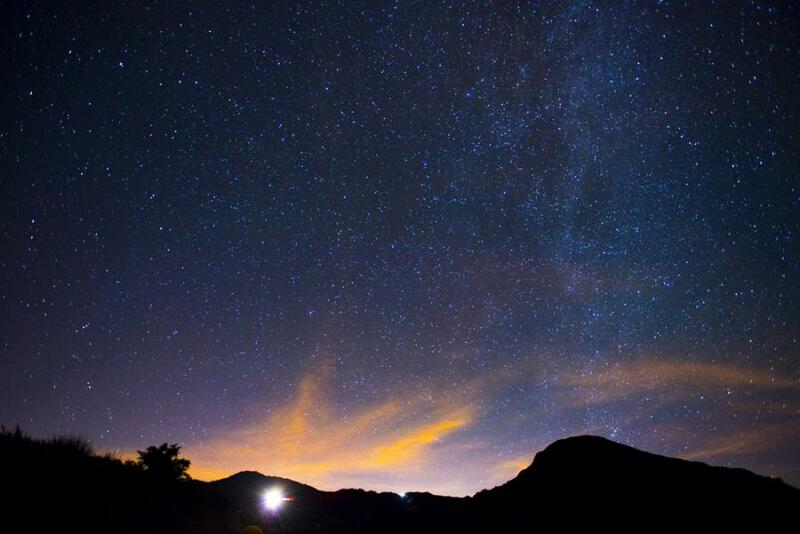 This is Scotland’s first Dark Sky Park and some helpful, scientific analyst has counted more than 7,000 stars and planets visible from the 75,000 hectares of parkland. Make your way to Loch Trool, about an hour north of Carlisle for your slice of a starry night sky. Then reward your efforts with a shopping weekend in Glasgow and a night out on Sauchiehall Street. With the number of dark sky sites in the UK now in triple figures you are really spoilt for choice on your astronomical adventures. We’ve covered some of the largest national parks and the most established dark sky reserves but the list of locations continues to grow with sites in Shropshire, the Elan Valley in Wales, North Pennines and County Antrim. There’s even a park in London from where you can view the Milky Way. Stop daydreaming, start stargazing. We’ll see you in the dark!